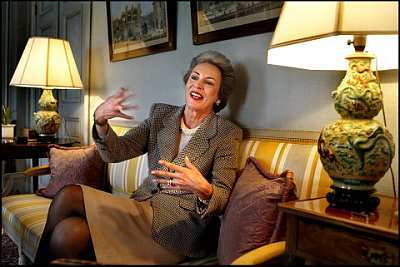 This Thursday, 29 April, Princess Benedikte celebrates her 60th birthday. The following is an interview she has given to mark this milestone. My understanding is that Benedikte will celebrate her birthday in Paris, where her eldest daughter Alexandra lives and works (for UNESCO, I believe). 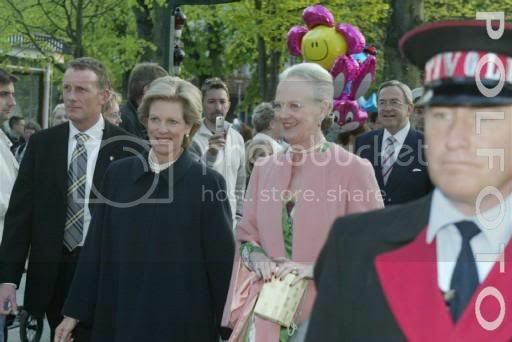 And there will be more festivities on May 2 in Denmark, with younger sister Anne Marie and her husband in attendance, a horse show given as a gift to Benedikte by her elder sister Margrethe. Benedikte&#39;s youngest daughter, Nathalie, will be taking part in the show. Yes, see how many indeed&#33; I would have to most agree with this as well. Carl Gustaf does look like his son here a lot. He also reminds me of one my cousins. Very similar look. My two cousins. They are twins. Yes, see how many indeed&#33; I would have to most agree with this as well. Carl Gustaf does look like his son here a lot. I don&#39;t think it&#39;s a case of the King looking like his son, but a case of his son looking like his father, the King. Unless there is some reverse cloning process I don&#39;t know about? I am looking forward to more pictures of Nathalie (who participated in this equestrian event), and of the birthday girl&#39;s other sister, Anne-Marie and her husband who were also in attendance. 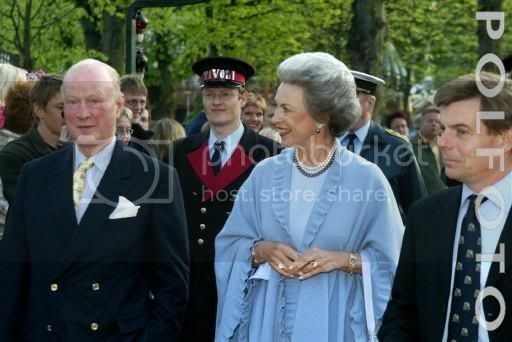 http://www.jp.dk/indland/tema:fid=9004/ the royal family in Tivoli . 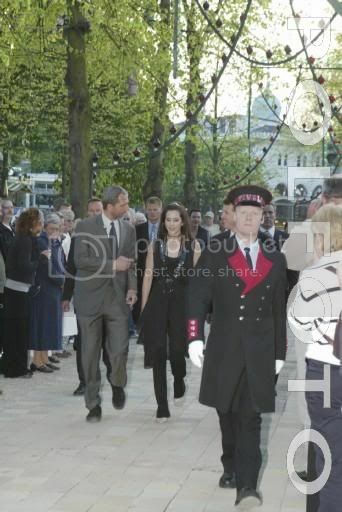 Go to video, on the left and click on Kongefamilien i Tivoli (maj. 2004): May&#39;s look is ver different. :o I think this is part of Benedikte&#39;s birthday. Sorry, video would be on our right. Mary reminded me of a pop star, not a princess( to be). 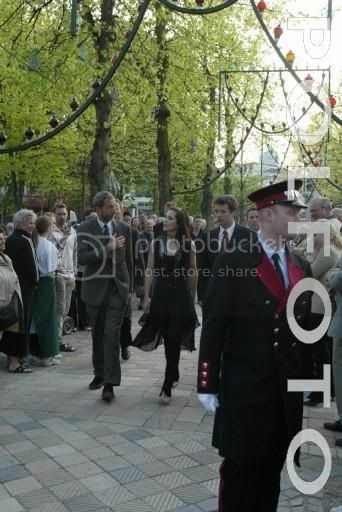 I saw a picture of Henrik there, wearing a burnt red/orange jacket talking to Constantine, so he wasn&#39;t MIA. maybe they&#39;re hiding? I read that Nikolaos of Greece was there, and I didn&#39;t see him in any pictures. But maybe black isn´t the right colour for a person, who is rumoured to be too skinny. I have to confess that i don&#39;t understend the outfit. That is trousers, scort or the 2 toguether? I have to say I am not a fan of this black outfit at the Tivoli, either. She looks like she&#39;s ready for a rock or even heavy metal concert, but a night at the Tivoli? (A bit gothic even?) 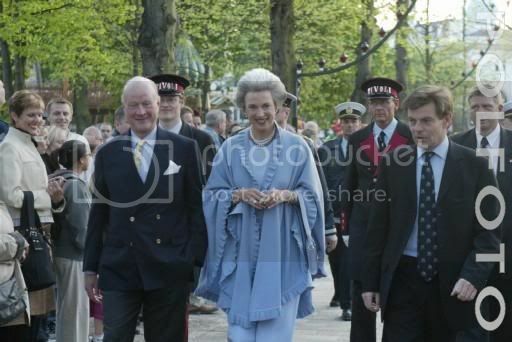 It seems much too casual when you see what Benedikte&#39;s daughters are wearing, and what the Queen and her sisters are wearing, too. Such a letdown, too, since Mary had a very nice outfit at the equestrian event earlier that day. I have to say I am not a fan of this black outfit at the Tivoli, either. She looks like she&#39;s ready for a rock or even heavy metal concert, but a night at the Tivoli? by the way... that page has really interesting videos&#33; i was seeing the one of the engagement... i din&#39;t know mary did it in two languages&#33; does she talk danish correctly? I am sorry but i like her autfit. At list he is diferente and is a completly new thing. Denmark&#39;s future Crown Princess Mary Donaldson was warmly hugged by her future mother-in-law HRH Queen Margrethe II when they met yesterday at Princess Benedikte&#39;s 60th birthday party. 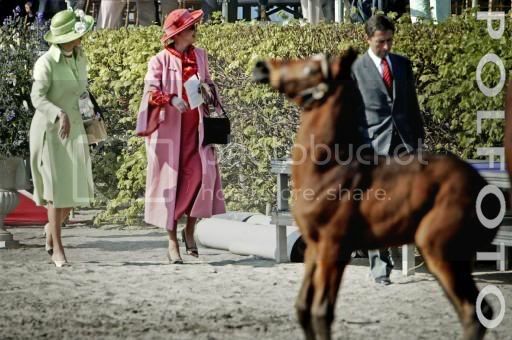 The royal family was first gathered at a horse show at Christiansborg riding ground to celebrate the Princess, and afterwards Princess Benedikte&#39;s two sisters, Queen Margrethe and Princess Anne Marie, had arranged a surprise party to celebrate their sister in Tivoli. But, the birthday girl did not get all the attention. 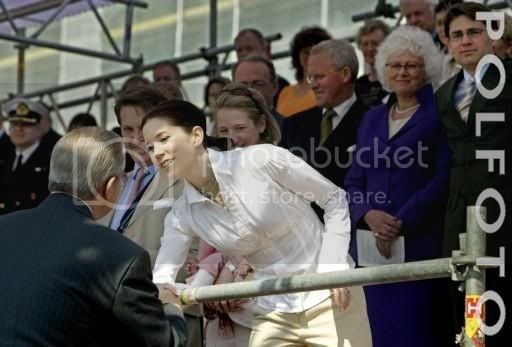 As Mary and Crown Prince Frederik arrived, guests visiting Tivoli made a riot to get a glimpse of the couple who were applauded as movie stars. Several museums in Denmark have cooperated to conduct an investigation concerning the whereabouts of Danes on May 14th, the day of the royal wedding. Will you be watching television, and will that take place on the job? Or are you going to Copenhagen to wave? Or perhaps the day will not be celebrated? These are some of the questions which will be asked in order to document how the Danes experience May 14th. 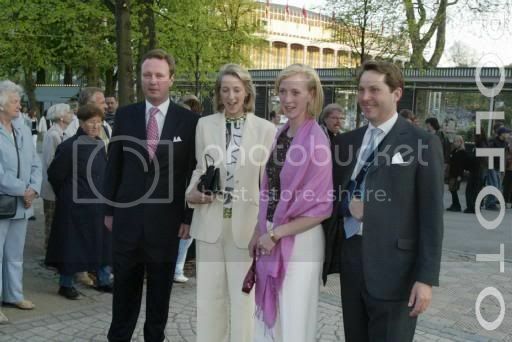 Prince Gustav, Princess Alexandra, Princess Nathalie and Jefferson.